Matlab includes built-in support for automatic conversion of Matlab cell arrays into Java arrays. This is important in cases when we need to pass information to a Java function that expects an array (e.g., String). In some cases, namely Java numeric arrays, Matlab also automatically converts the Java array into Matlab arrays. This is actually inconvenient when we would like to access the original Java reference in order to modify some value – since the Java reference is inaccessible from Matlab in this case, the data is immutable. Very often we encounter cases in Java where the information is stored in an array of non-numeric data. In such cases we need to apply a non-automatic conversion from Java into Matlab. Note that if we only need to access a particular item in the Java vector or array, we could do that directly, without needing to convert the entire data into Matlab first. Simply use jFrames(1) to directly access the first item in the jFrames array, for example. (note: Java Frames are discussed in chapters 7 and 8 of my Matlab-Java book). Very often we encounter cases in Java where the information is stored in a Java Collection rather than in a simple Java array. The basic mechanism for the conversion in this case is to first convert the Java data into a simple Java array (in cases it was not so in the first place), and then to convert this into a Matlab array using either the automated conversion (if the data is numeric), or using a for loop (ugly and slow! ), or into a cell array using the cell function, as explained above. The conversion process is pretty efficient: On my system, the regular toArray.cell() takes 0.45 seconds for a 100K vector, compared to 0.21 seconds for the feature alternative. 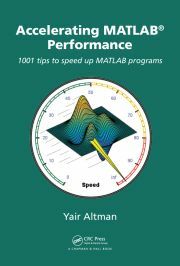 However, this small difference could be important in cases where performance is crucial, for example in processing of highly-active Java events in Matlab callbacks, or when retrieving data from a database. And this latter case is indeed where a sample usage of this feature can be found, namely in the cursor.fetch.m function (where it appears as system_dependent(44)). Please note that both feature and system_dependent are highly prone to change without prior warning in some future Matlab release. On the other hand, the conversion methods that I presented above, excluding feature, will probably still be valid in all Matlab releases in the near future.